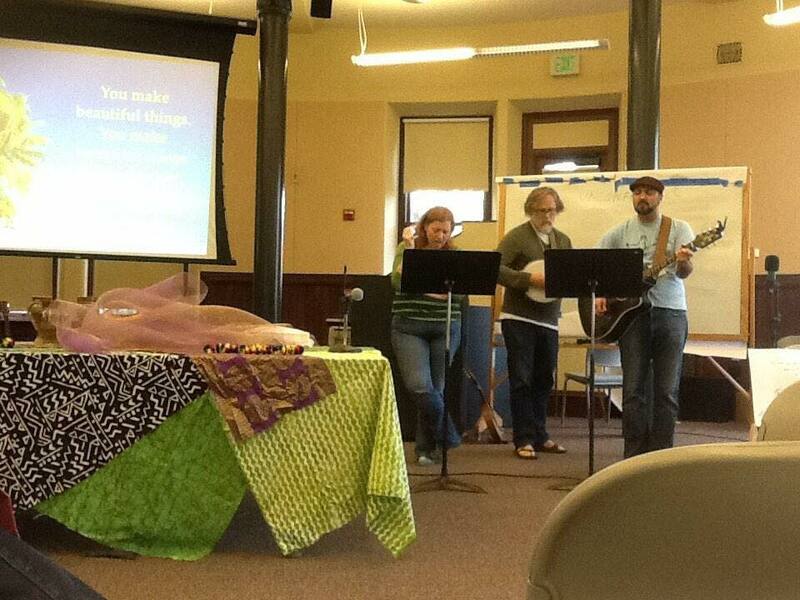 I am participating in the UncoSynchro blog, a writing collaborative effort from ‪#‎Unco14‬‬, focusing on subversive themes of faith and life. The theme for January is(Un)Resolved. My first CD’s I ever bought was through a subscription, you know one of those where you get 5 CD’s for a penny and then you buy 5 more over a year or two. Of the 5 CD’s I bought with my penny I remember 3 of them. “Use Your Illusion I & II” by Guns and Roses and the Violent Femmes’ “Add it Up”. I believe there was also a Whitney Houston album and Boyz II Men album. Recently I have been overwhelmed at work. I need a win, I need something to go right. Everything seems to be happening at once. So I do what I do when I have too much work and am overwhelmed? I ignore it all and make a playlist. Music has always been important to me, it was my drug, my escape. In the playlist I made included the song “American Music” from the Violent Femmes album “Why Do Birds Sing?”, also on the compilation CD “Add it Up”. I really do love the Violent Femmes, but I haven’t listened to them in years. I was immediately flooded back to memories of mid-teens. In so many ways music was (and still is) my salvation. It saved me from myself, it allowed me to release feelings I couldn’t even put names to, I didn’t even know I had. Music, no matter the genre, and I mean that. From the beginning there was really not a genre I didn’t like. Music allowed this overly emotional child to feel and to not go crazy. I would dance, I would laugh, I would cry, weep, I would sink into the numbness of life. Music took me away from what was happening and into a world where beauty and pain lived simultaneously. Where true, unconditional love existed, where hate, real hate was allowed to be expressed. Things existed in music that didn’t exist in my world. Expression of feeling was mandatory in music. Without it, there is nothingness. Even the first time I experienced John Cage’s 4’33” I experienced expression of feeling. I was in college at a piano recital given by the associate dean. I didn’t know what was happening, and then I got it. Everything is music. Music made me feel like I could conquer the world, achieve anything, I learned adaptation and change, to “go with the flow” by learning jazz and improvisation. I learned music theory and rules and when to break them. I learned that even in the chaos there was intentional beauty. Music became my God. As a minister I do not say this to be blasphemous. I say this in all sincerity, Music is God, it is how I experience God, how I enter the world. It is what provides me life, it is in the rhythm of breath. As the choral song by Dorothy Fields goes “To feel the rhythm of life, to feel the powerful beat”. I cannot, nor will ever get enough. Music will always be never ending it will always be (un)resolved for me. And praise Jesus for that! I wanted to leave you with a song. And I was having trouble picking one. So I will go with the obvious choice, the one I am listening to right now. It is the song that concludes my latest playlist, from the master himself, I give you: Blue in Green by Mr. Miles Davis. So turn the speakers up, grab a glass of whatever you want, and enjoy the unresolve. This entry was posted in Ministry, unconference unco.us and tagged Guns and Roses, Miles Davis, music, resolution, Triggers, Unco, Violent Femmes. Bookmark the permalink.